In the first month of Find Your Rainbow’s release, I was featured on 4 different news stations including ABC, CBS and NBC. Click below to watch all the segments! This was by far my favorite show I’ve been on! I got to sit at an anchor desk with three amazing women! Fun Fact! Jerry continued to paint even after this segment, not letting me leave (or the next segment to start!) until he was finished with his painting. ABC Action News’ Sean Daly made Find Your Rainbow’s book release day a success by coming over that morning for an evening segment! We talk to author Jen Lyn about how she finds her inspiration. 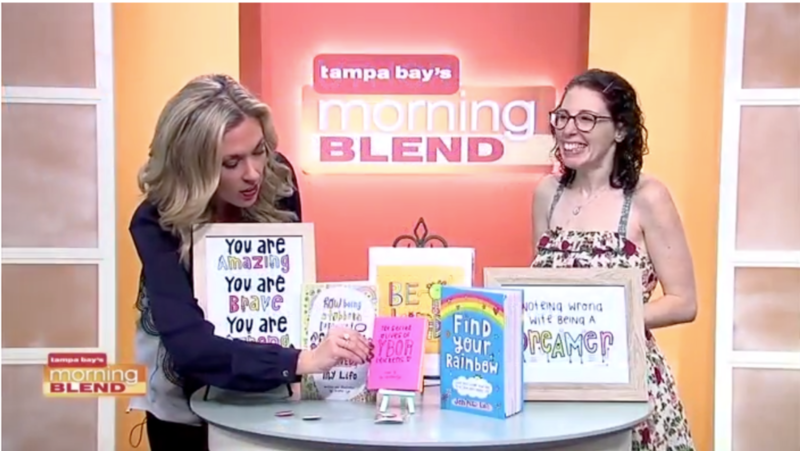 So much fun chatting with Natalie from Morning Blend about my books & believing in ourselves!